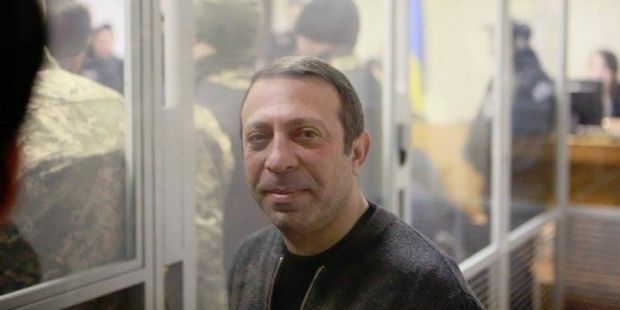 UKROP Party leader Hennadiy Korban, who is charged with creating a criminal group, kidnapping and misappropriation of public funds, has been placed under house arrest for two months under a ruling by Kyiv's Pechersk district court, an UNIAN correspondent reported. The court ruling was read out by investigative judge Larysa Tsokol. "The duration of house arrest and liabilities placed by the court should be limited to two months, until December 31, 2015 inclusively," Tsokol said. In case of need, the term could be extended if a prosecutor submits a motion under Article 199 of the Criminal Procedure Code of Ukraine. "The court ruling and the preventive measure in the form of house arrest shall take effect immediately after this announcement," the judge said. Under the court ruling, Korban must wear an ankle bracelet. The verdict may be appealed at Kyiv's Court of Appeals within five days from the date of its announcement.